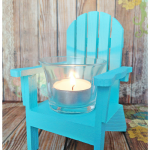 Welcome to another edition of my Nautical Decor DIY series! 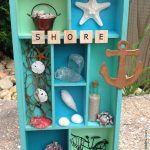 So far, I’ve shared how to decorate with starfish, anchors, rope, and sailboats. Today we are going to discuss making your coastal art from scratch. Literally. 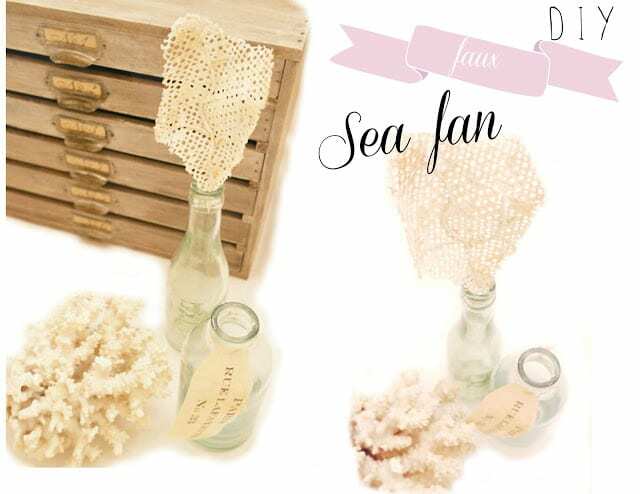 How to DIY your own gifts from the sea! 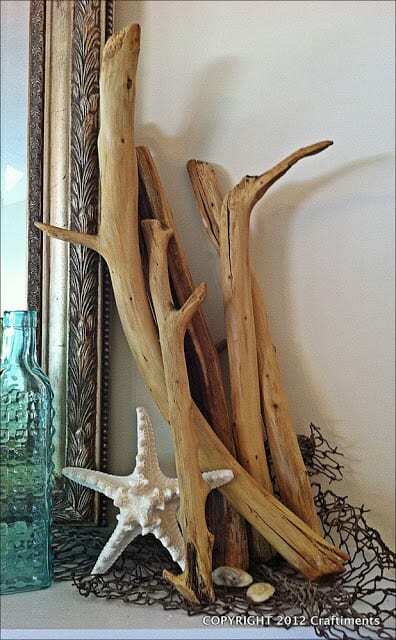 Did you know you can make your own driftwood? You can! 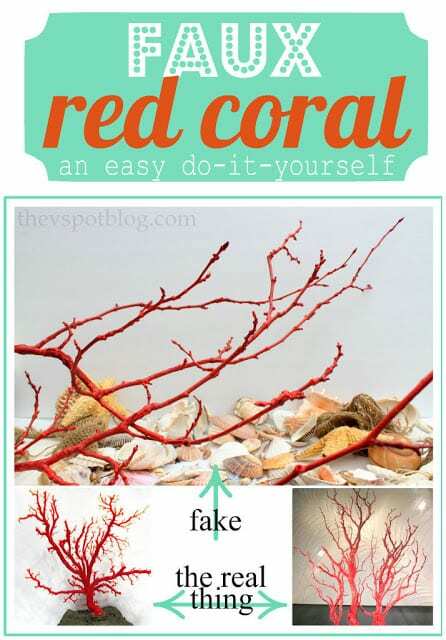 Did you know you can make your own coral? You can do that too! 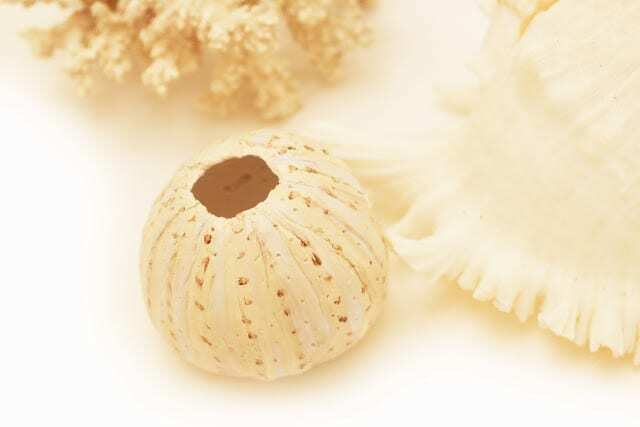 And you can even make your own seashells and sea life replicas too! So those of you far away from any beaches: rejoice! 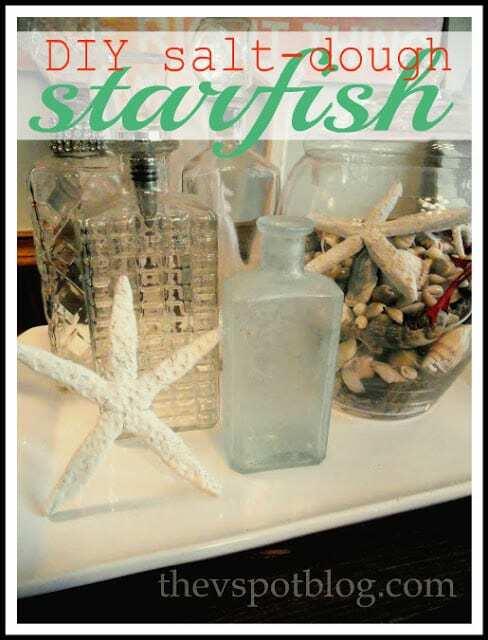 I originally shared this starfish tutorial from The V Spot in my Starfish Decor post, but it’s so good I’m including it here in this roundup! 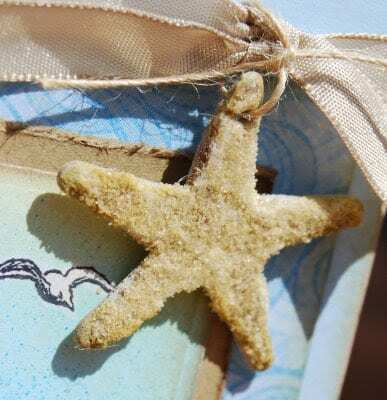 Here’s another starfish idea, this time made with chipboard and sand! Use this giant clam shell as a table centerpiece, as part of a mantel collection, or even hang it on the wall and use as a “frame” for a special beach memento or photo! 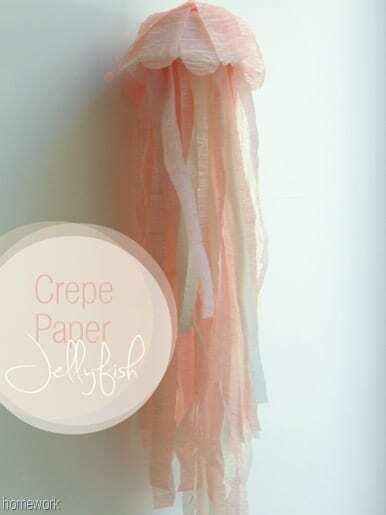 This jellyfish was one of the first projects I pinned to my Nautical Decor Pinterest board. It’s always been one of my favorites! Make your own sea urchins. What a unique – and doable – project! 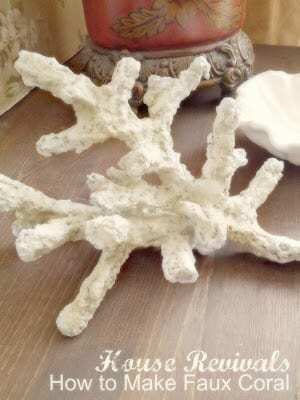 I can’t believe this coral is not real, but instead is made using paper maché pulp! 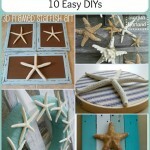 This faux red coral idea is another savvy tutorial from The V Spot, who made the salt-dough starfish above! 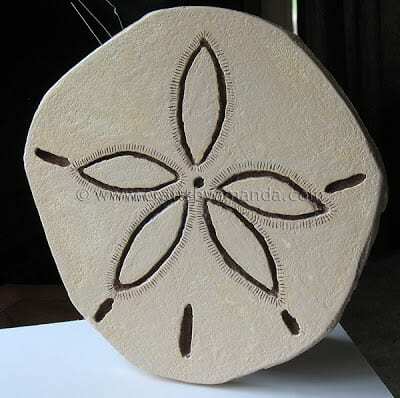 I love this large sand dollar! 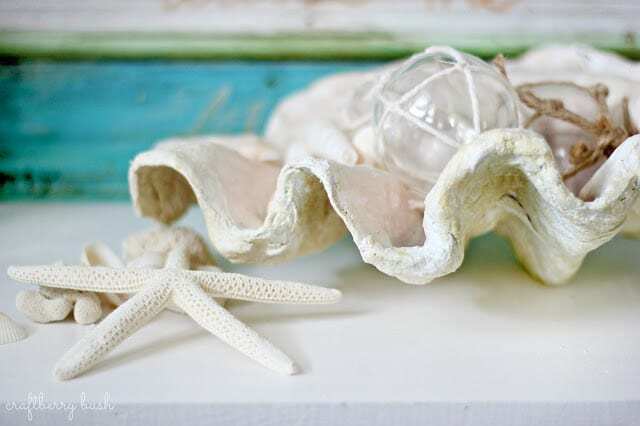 A wonderful conversation piece in your beach-themed decor! 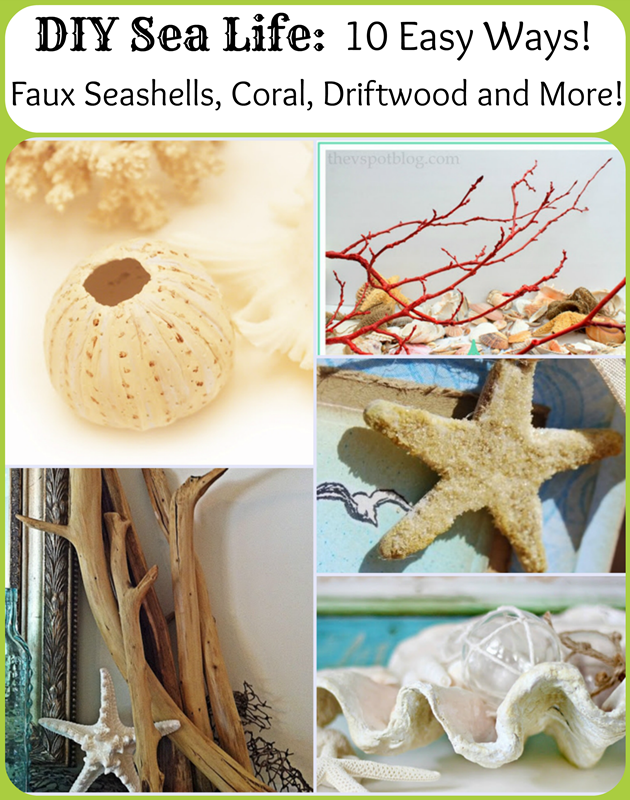 Twigg Studios (who made the sea urchin above) has a fabulous tutorial to make your own sea fans! Brilliant! 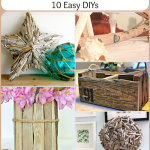 Make your own driftwood! Yes, nevermore do you need to be jealous of those DIYers who can easily go and pick the driftwood off the beach. You can make your own! 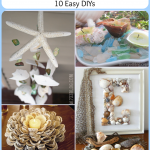 So now you have some creative tutorials to literally make your own seashells and sea life! You’re welcome, Amanda! Glad there’s some new projects for you to enjoy! Ahhh – lovely play on words, Malia! Thanks for stopping by! 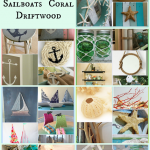 Laura, like the post title 😉 I never thought about “creating” sea decor, great ideas!! Thanks Kathy! 🙂 I was surprised to find so many ways to start from scratch – so I’m glad you like them too! Thanks Linda! And yes: what IS it with this heatwave? My poor plants and flowers are wilting…and so am I! 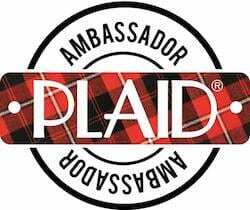 Thanks so much Kathryn: loved your series! Great job!